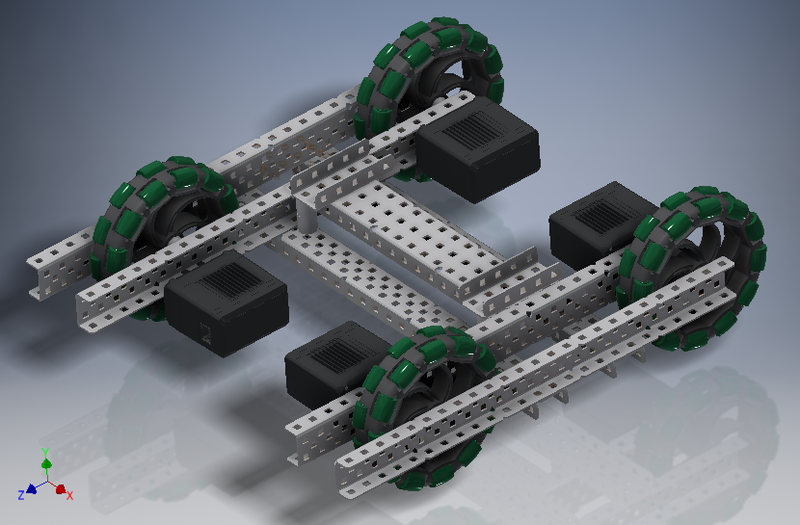 Next year, I am interested in using CAD to create my robot before construction and was wondering what the best, free CAD software would be to use? I’ve heard of a couple different softwares, but I don’t know which one would be the easiest to use since I’ve never used CAD before. Also, where do I find the part library for each CAD software? Here is a user created one (Sid OP) that is in my opinion better. (All inventor files! There are plenty of tutorials both on the Autodesk page above, and on YouTube of how to start using it, for both fusion or inventor. PS: honestly it’s not worth doing your entire robots cad before any parts are complete. It really does help to visualize complex things with high tolerances, but for simple systems it’s not particularly worth it. My team likes to use Fusion 360. Having it be cloud-based is pretty handy because my team and I can all collaborate over the summer or over breaks when we’re all away. Would you kind sharing your library with me? Does your library for Inventor have V5 components? What would be the best way to learn how to use Inventor? Is there a tutorial for beginners somewhere or should I just open the program and learn how to do it by experience? I would watch a beginner tutorial on assemblies on YouTube, and just play around with it. You can look up things as you want to know how to use them. sure! It’s has most of the parts updated to 2019 inventor though, so if you have 2018 or older it won’t work. It does include v5 components. I had to upload it to my google drive however, as it was too large to post here. You can also go to the store page and download the CAD models for each part for sale individually. yes, but that is painful. Thanks for sharing your part library! This will save me tons of time in the long run. no problem! I didn’t make it, I got it from @TaranMayer who got it from somewhere else. but I use it all the time to do things like this, only taking an hour or so. I use fusion 360. It’s pretty user friendly. Actually, that library was combined by me from a lot of places. huh, alright cool. good job then! @Xenon27 and @TaranMayer: do you mind if I add your library link to my information paper? I’m interested in using CAD as well, but I am on mac. Does anyone have any experience with mac and how can I download one of these programs? I saw on the websites that they aren’t very compatible with Macs. The reality is that most professional CAD software runs best with high powered PC workstations, and especially workstations having very specific graphics cards. NVIDIA Quadro cards are especially popular for SolidWorks: they have been optimized for the type of graphics CAD uses (which is different than gaming and video production). There just isn’t enough business-reason for Dasssalt or Autodesk to spend much time on CAD for a mac.